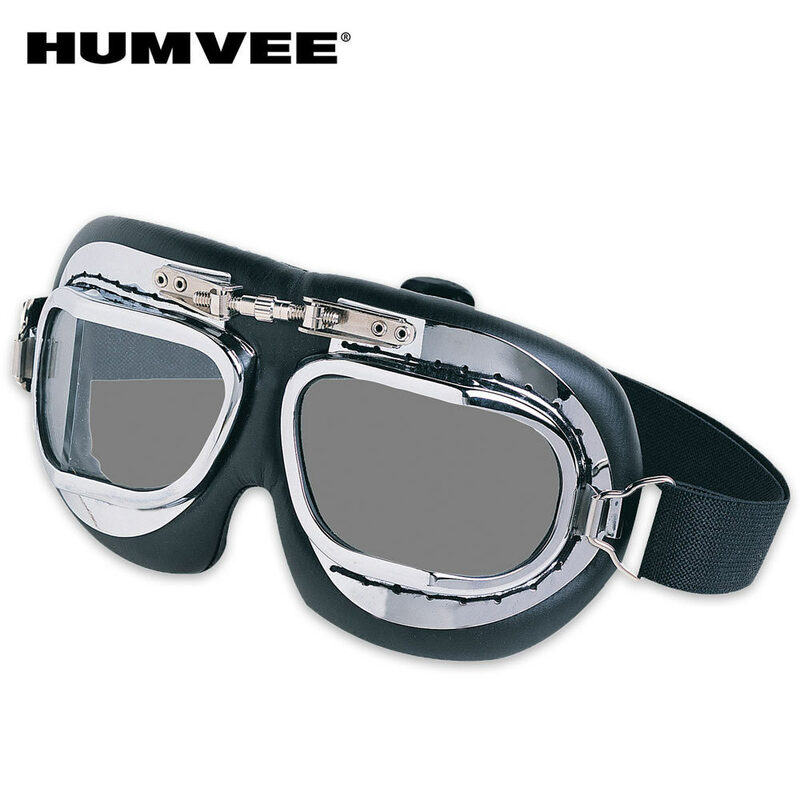 Protect your eyes and face with these off-roading and motorcycle style protective goggles! Features include 400 UC protection, angled lenses, adjustable center turnbuckle, soft padding, and a wide head strap. These goggles are different form what is shone in the picture their is no screw in the center of the forehead and the right lenses in the picture has no slit compared to the one on the left.It feels weak the lenses are thin plastic. Over all a cool item but not meant for use more for just to wear for fun. ordered this a few days ago and am glad. a 3/5 not because they are badly made or look cheap but because the middle peice isnt what i saw in pic however that isnt a huge thing since im used to customizing things and thats what these look good for. to wear as is or to customize.